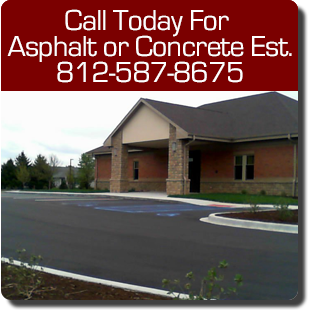 Robertson Paving repairs, maintains and paves asphalt and concrete in the greater Flat Rock, IN area. Whether you're looking for a new driveway for your home or a bigger parking lot to attract new customers, we have the experience to get the job done right the first time. We specialize in residential and commercial paving services. Contact Robertson Paving today at 812-587-8675 for a free estimate, or browse our website for more information about excavating or trucking and conveyor.